When My Brain Leaks, the Drops Drip Here. : Gnomes Gnomes Gnomes! It took quite a while to finally unload the dozen or so that I painted, but since the lase one sold I've gotten a steady stream of inquiries from folks asking for them. 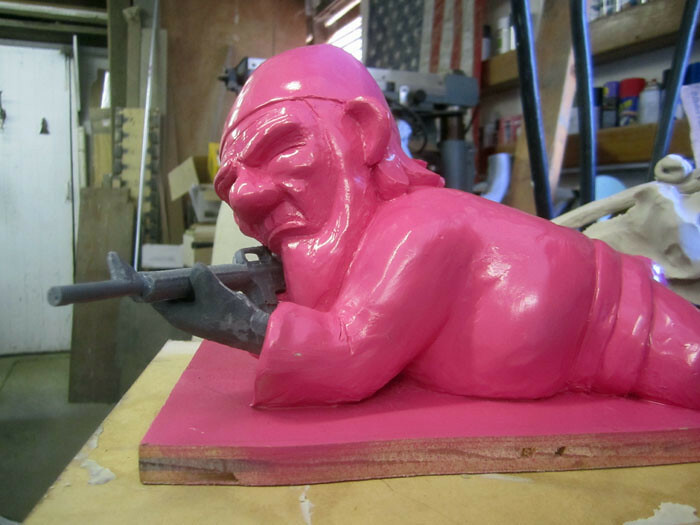 The mold for the standing gnome has finally failed, so I'm re-sculpting one of the castings. I'll be making changes to his facial expression and replacing his rope belt with a flat leather one. If you're especially in love with the original version, the seven pictured above are the last seven from that mold. 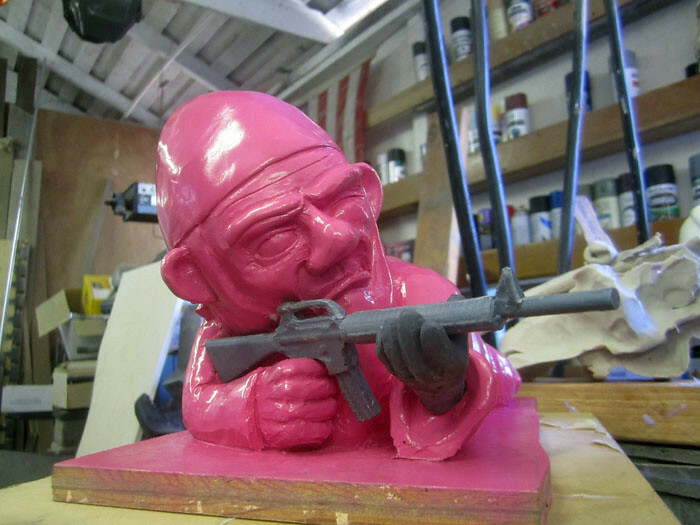 While that's going on, I'll also be sculpting yet another combat garden gnome in a whole new pose. How about a combat gnome in Halo armor? My husband's favorite book as a kid was "Sir MacHinery" by Tom McGowen It's about a robot who is mistaken by the fairies as a knight and stolen by them to fight a terrible dragon. 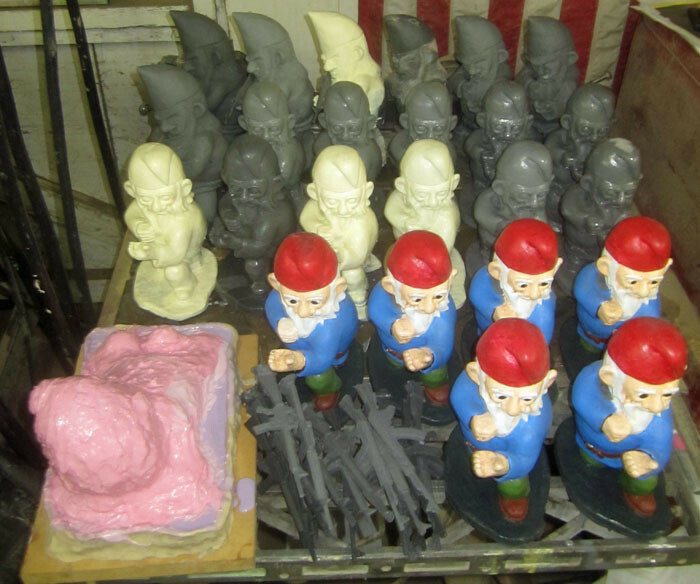 Anyway, put a kilt and a Scotch bonnet on those gnomes and they'd be the spitting image of the dwarves in the story. I may have to order one for him! Man, I would love to get one of those! 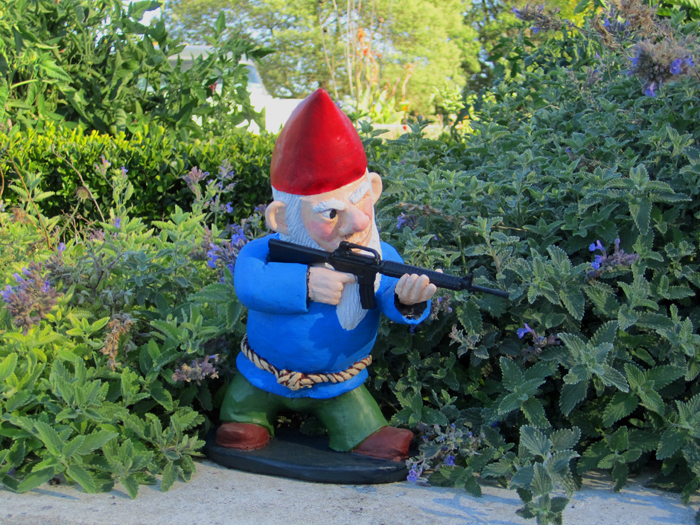 I've always loved garden gnomes, and adding fully automatic assault rifles to the mix just amplifies my love of them! I'd like own all three! Heck, I'd like to have 3 sets of all three - these would make GREAT Christmas presents for my gun-nut friends! I wish i could get my hands on all three variations. I'm restocking the Etsy shop as fast as I can make these guys. Please check back there often. I want them all lol! What are the prices and how soon will you have more? I just put up six more painted ones. The painted ones are going for $57 each and the unpainted ones for $42. These are awesome mate, bloody awesome! Do you ship to Australia? Keep up the great work! These gnomes make me all tingly. Awesome, just awesome. You should put them in camo and give them grenades, also some thermal googles like the ones in C.O.D. how do i order these???? Thanks for actually posting your selling sight! 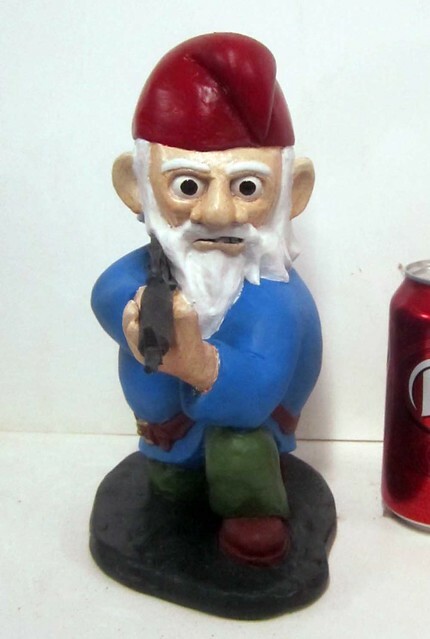 I'm always looking for cool garden gnomes for sale, but many people don't have the sense to tell me where to find them. I think these are considerably fantastic! If only they had these in that new movie Gnomeo and Juliet! 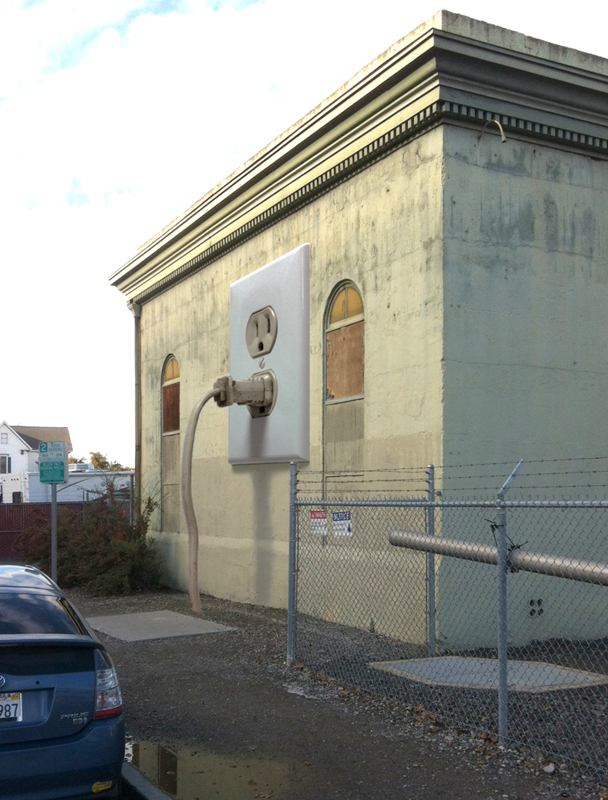 That would have made it more interesting! 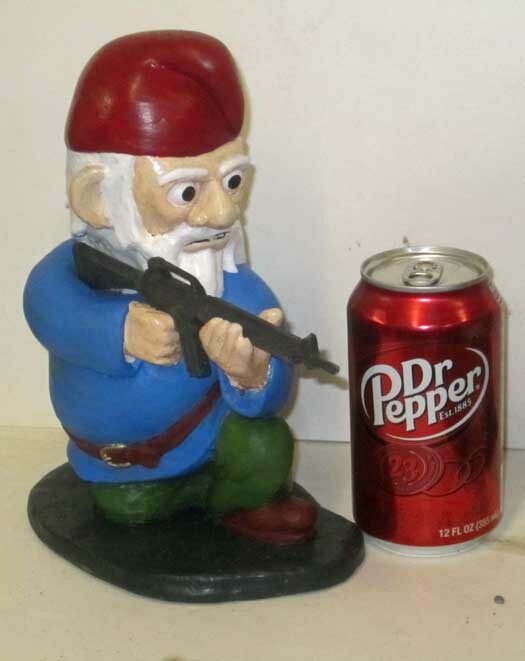 How about a Gnome holding a claymore!